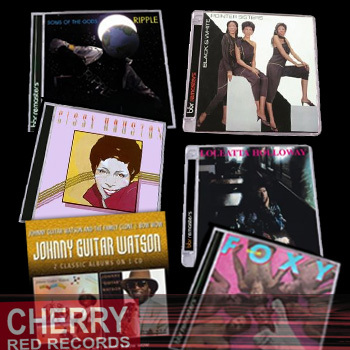 Share the post "News: CHERRY PICKIN’ – Win six featured albums in our label showcase"
This hour long sequence signposts latest releases (August/September) from the Cherry Red group of labels including Esoteric, Big Break Records and Soul Music Records amongst others. It’s an eclectic mix including reissues from THE POINTER SISTERS, CISSY HOUSTON, CLIMAX BLUES BAND and new releases from TOUCHSTONE and JOHN LEES’ BARCLAY JAMES HARVEST. This is the eighth in our series, the previous shows are available via iTunes and in our podcast section. This entry was posted in All Posts, Competitions, NEWS and tagged BBR, Cherry Red Records, competition, esoteric, label, music, New releases, progressive, R&B, radio, reissue, rock, showcase, soul, Soul Music. Bookmark the permalink.